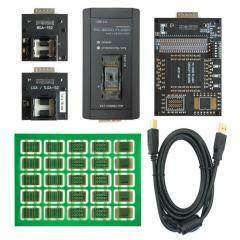 View the list of flash Controllers and Memory Chips supported by the PC-3000 Flash. Contact us to find out more about PC-3000 Flash. Three recovery 'steps'. First is to physically remove the NAND chip(s) from its controller, second is to read the raw data off the chip(s), and third is to decode the data into a logical image. Complete support for input of your own NAND chip reading parameters in case the software suit does not currently support the chip(s) you are recovering. Connects by USB to any desktop or laptop PC running Windows XP/Vista/7/8 x86/x64. Small and portable. Contains built in safety features to prevent electrical damage from incorrect chip insertion or previous physical damage to the NAND chip. 20-30x faster at reading NAND chips than other chip readers. 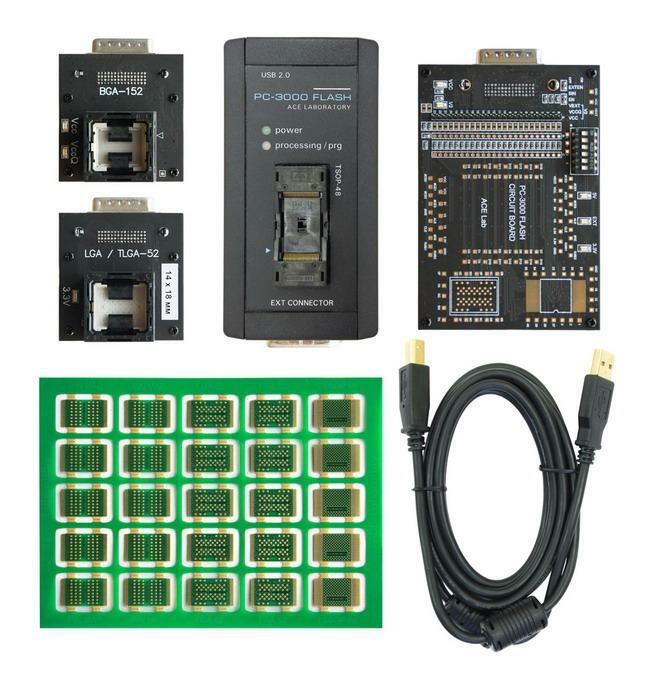 The PC-3000 Flash Kit includes PC Flash Reader, LGA/TLGA-52 adapter (14x18), BGA-152 adapter, Circuit Board adapter, Connectors Set, USB 2.0 Defender Cable, PC-3000 Flash Software, and PDF User Manual.